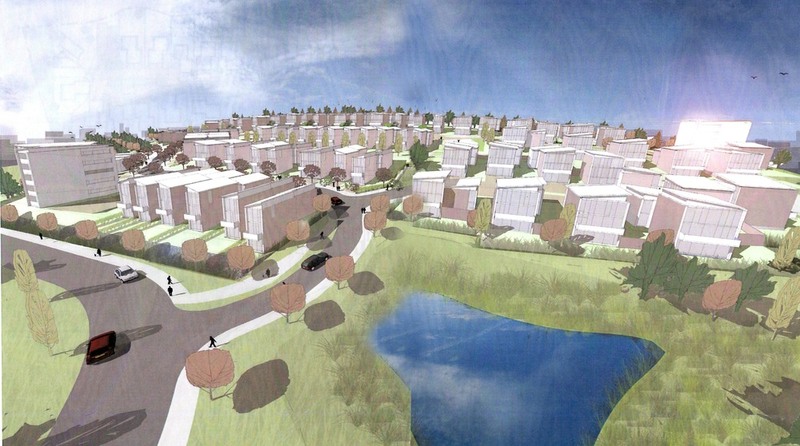 This layout, prepared for a residential developer, masterplans the proposed redevelopment of a former college campus in one of Glasgow’s northwestern suburbs. This site is on a steep south facing hill, and the plan is developed to accommodate a variety of house types which are designed to work with the topography through use of a split level section which places living spaces at the southern end of an elongated plan, in order that all of the properties can benefit from a southerly aspect. The pattern of development adopts many of the principles described in the Scottish Government’s ‘Designing Streets’ document. 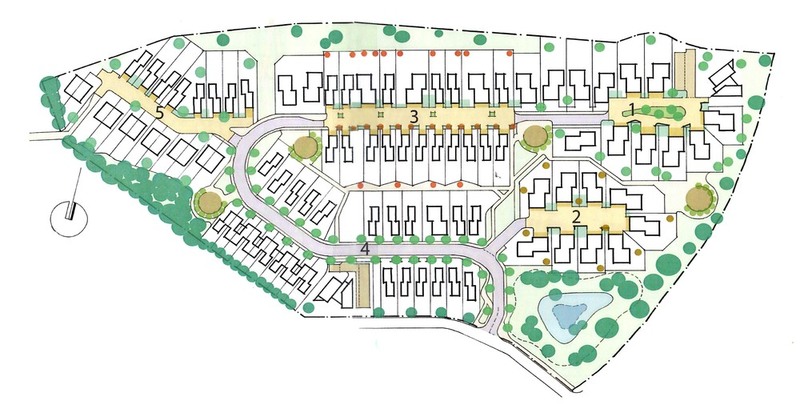 Roads are minimised as far as possible, and houses are generally clustered around shared surfaces that are landscaped to create safe neighbourhood spaces.